Uttaranchal University Admission 2019: The Uttaranchal University is deemed to be a university of the state which has been providing knowledge to students in various fields. The education in different specialization is being imparted at different levels such as UG, PG, and Ph.D.; each program has different eligibility. Latest Update: Online Registrations Open – 2019. Those who are looking to get admission can find the shared information useful for them. Here the complete article will be giving details of information such as application form dates, how to apply, selection procedure, Uttaranchal University Eligibility and a much more relevant pool of information. For all interested students, it is essential that they keep eyes on all events and avoid missing events through which admission process can be completed. We are Providing here tentative schedule of Admission Process. The university has set certain criteria under which admissions are allotted. If the Uttaranchal University Eligibility Criteria is not fulfilled by applicants, the applications are simply not acceptable. Here is the list of courses through which one can know what Uttaranchal University B.Tech Eligibility application forms will be accepted. B.Tech 12th class with min. 50% essential subjects as Physics, Chemistry and Mathematics Marks secured in 12th/qualifying examination and JEE Main 2019 Score. The university accepts admissions of all students only if they have applied before last dates. Those students, who are interested in their admissions in engineering or other fields, can find Uttaranchal University Application Form 2019 submission method here. The applications can be submitted both ways in offline and online mode. Go to Website of Uttaranchal University through the provided link. From the home page find ‘Register online’ link and open it. New students need to Sign up on the website using valid credentials. Confirm the registration through the link sent to email ID. Post confirmation; use same credentials to log in and access the online UUEE Registration Form. Fill details in fields which are marked mandatory. One done recheck, click on submit and proceed to pay the fees. Pay the fee through any convenient online submission method. On successful payment, the process is complete. Fill all details required in the application form and attach asked documents. The university announces admission allotment of students online on its website. Those who are eagerly waiting to know what has been the result of UUEE Admission Procedure can get the updates through raking subscription. 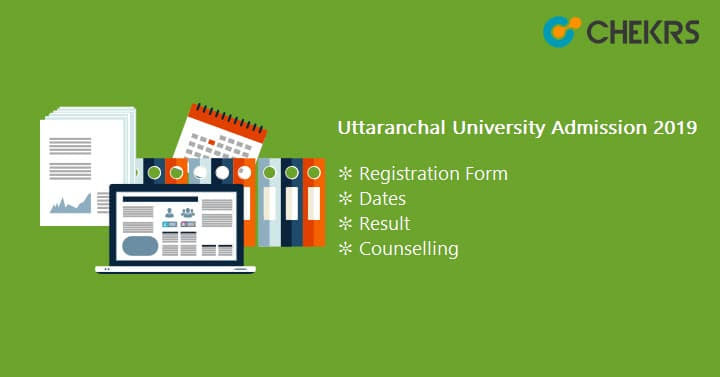 Moreover, here we deliver Uttaranchal University Result Date and the direct link from where the result can be viewed easily and directly after logging in. The Uttarakhand University grants admission after counselling where the original documents are checked. Also in the process branches are allotted as per availability of seats and interest of the applicants. The counseling dates will be updated by us here. It will be mandatory for students to attend the counselling session on given dates in order to confirm admission. The counselling can be attended in the main campus only.